Californian indie pedal builder Beetronics promises honey-sweet tones fit for a queen – so will these two drop-dead gorgeous octave fuzzes get Richard Purvis buzzing? 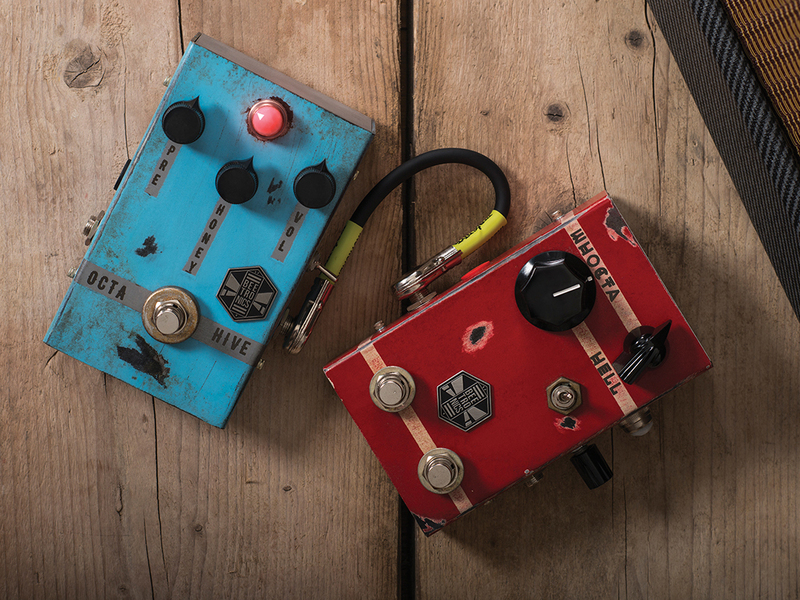 That being said… just look at these gnarly fuzzboxes from Californian boutique maker, Beetronics FX. They sound great before you’ve even switched them on. The styling is both retro and modern in a totally distinctive way; and whether or not you’re in favour of ‘relic’ finishes on instruments, there’s no denying the pre-battered look of these wedge-shaped boxes adds a certain grungey appeal. Let’s see if these little Bees can really fly. 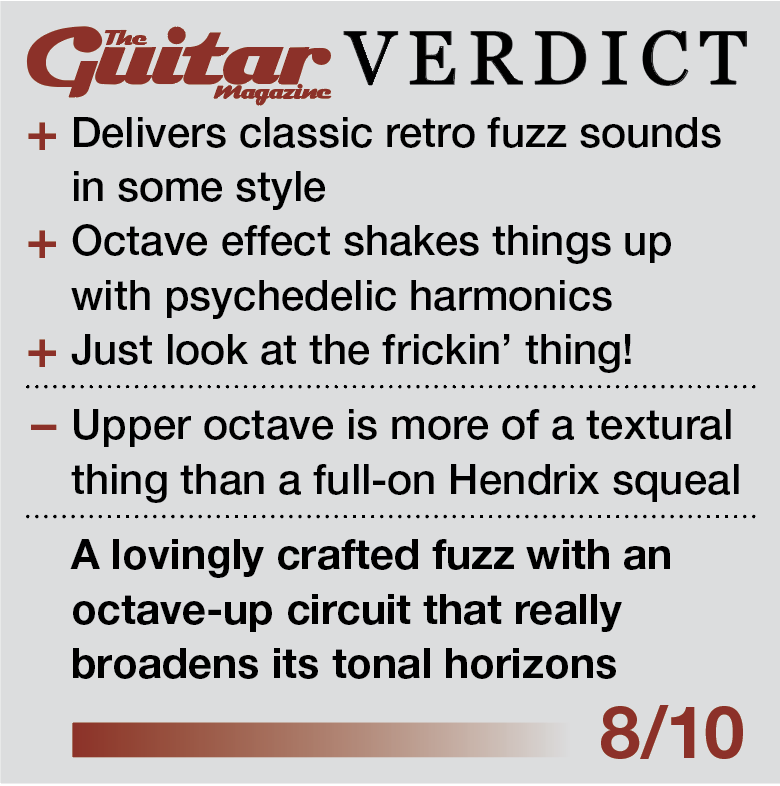 The first four letters of the OctaHive’s name gives this one away: it’s a fuzz with an added high octave, continuing a long line of pedals inspired by the original Octavia that Roger Mayer built for Jimi Hendrix over half a century ago (with the Tycobrahe clone cited as a specific reference point). And if you think it looks cool on the outside, just find a hex key to undo the four side bolts and remove the baseplate: you’ll quickly notice that the actual circuit board is in the shape of a bee. Whether this is a sensible design choice or not we don’t know, but it’s the very essence of cheekily creative thinking and we love it. The three controls are for input volume, gain and master volume – there’s no tone knob – and a toggle switch on the side engages the analogue octave effect. The outsize LED turns from blue to red when the octave is engaged, which could be a handy indicator to have on stages where the lighting is as dim as the drummer. Don’t go looking for the battery compartment by the way – it’s mains-powered only. 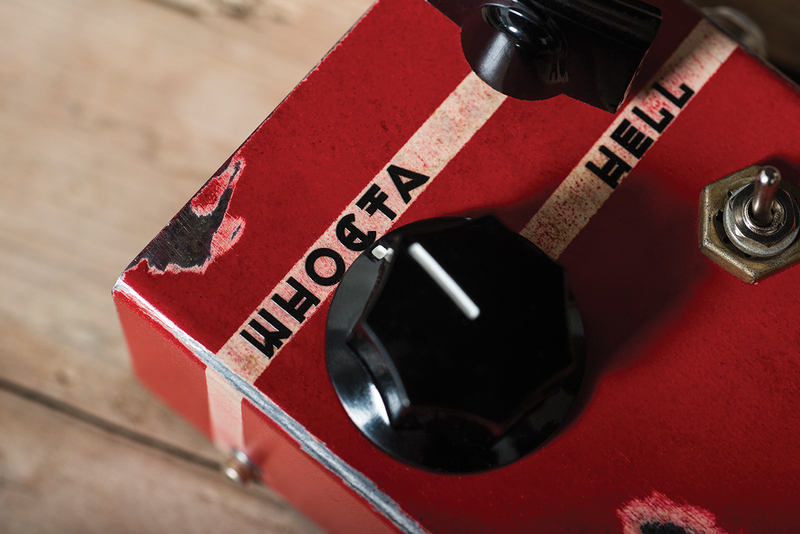 The curiously-named WhoctaHell is another fuzz with added analogue octaving skills, but now the extra notes are below your original signal, not above. This time the toggle switch is for choosing one or two octaves down, while bypass is handled by a second footswitch (and marked by another red/blue LED). 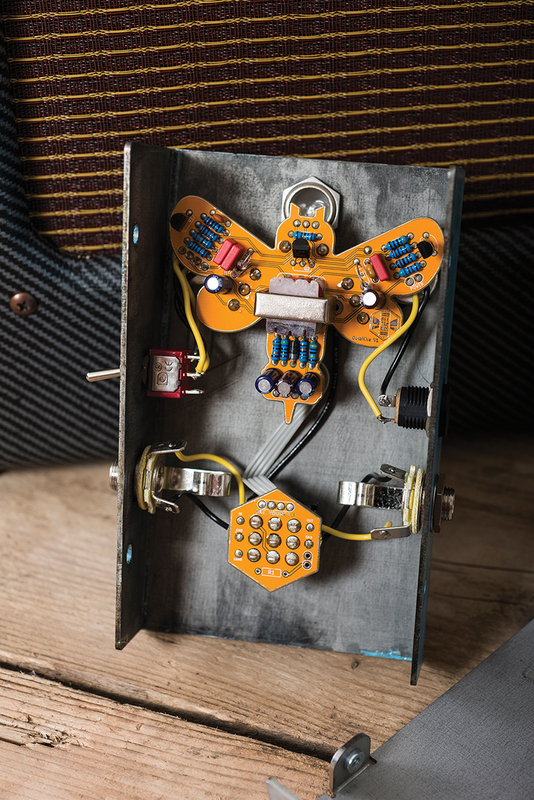 The controls on this one may be quirkily mismatched, but their functions are straightforward enough: ‘hell’ sets the level of your fuzz sound, ‘whocta’ dials in the octave, and the side-mounted pot is a master volume. So there’s no gain control on this one – and there are no giant bees inside, although the board does have a honeycomb design that’s only slightly less cute. As with the OctaHive, the ‘damage’ to the steel enclosure is enough to make it look well and truly road-worn, but not so much that it detracts from the overall feel of serious solidity. And if you are the sort of person who frets over getting dents and scratches in new pedals, that’s not going to be a worry with these two. You know the kind of full, sticky, grainy fuzz sound that makes you want to spend the whole day hitting humongous power chords and basking in their tactile sweetness? The OctaHive does that stuff pretty well. We’re certainly not missing the tone control here, and there is some variety on offer between the pre and honey controls, with a little help from your guitar’s volume knob. 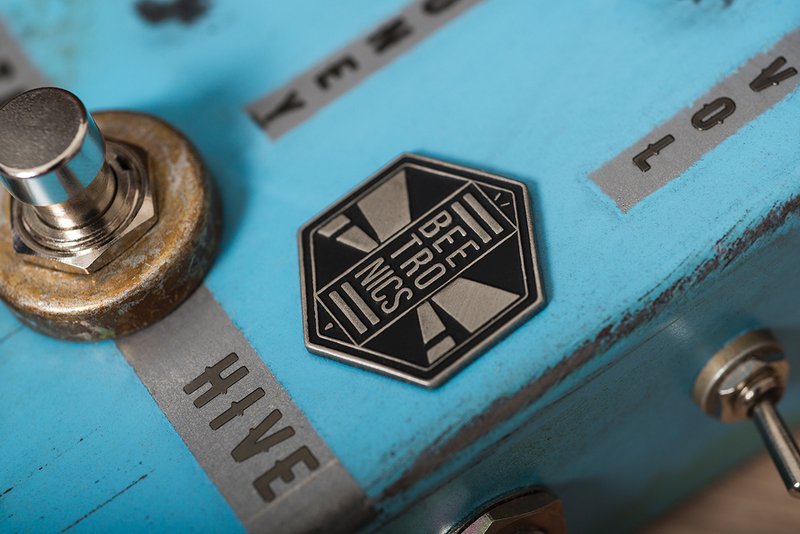 You won’t get transparent overdrive – everything this pedal does is inherently chunky – but there are lower-gain tones to enjoy, and you can add a bit more edge to the attack by pushing the pre instead of the honey. When we switch on the octave, our first thought is: ‘Where is it?’ This isn’t as pronounced an effect as you’ll get from some pedals of the type, and you really need to be on the neck pickup with guitar volume pulled back a bit to get that Purple Haze outro sound with the higher notes properly cutting through. But treat the octave as more of a textural ingredient and you’ll appreciate the harmonic complexity it adds to already super-saturated tones. Crank the honey now and things get massively filthy, with a snarling midrange that borders on ring-modulator ugliness but just about pulls it off. It’s not for trad-rock strummers, this. 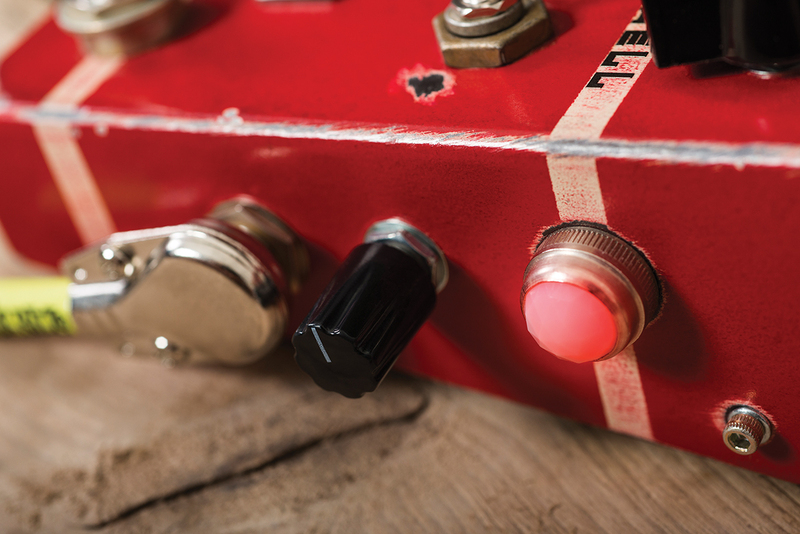 The red pedal starts in a similar place – it delivers the same kind of fuzz we were describing two paragraphs ago – but the first real difference is that, with just those three level controls, there’s no way of taming the distortion other than starving it a little via your guitar’s volume knob. The second difference is that the octave circuit in this unit is downright barmy. Let’s be clear: the WhoctaHell is not a straight octave-down pedal for replacing an absent bassist. It sometimes tracks quite spectacularly badly… and we’re fairly sure that’s entirely deliberate. At one octave down with Whocta set low you get a load of glitchy effects shifting around below the notes being played, like an analogue synth that’s in serious need of repair. Play up the neck, especially picking lightly, and things smooth out dramatically; but at times there’s still an element of unpredictable gating. Well, you might as well make the most of it: set the fuzz level to zero and now you hear the octave on its own, blooping and squelching about like the soundtrack of an 80s video game. Flip to two octaves down, and it’s the same story but even more so. 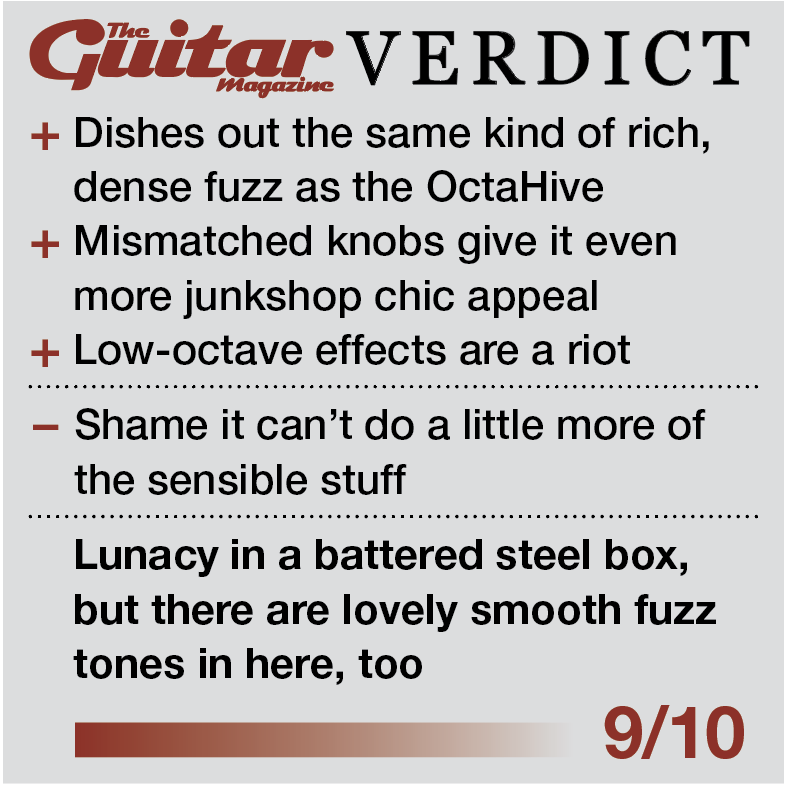 There’s nothing tasteful going on here – dare to play a whole chord and what comes out is an absolute racket – but it’s fun in small doses, which is why we’re glad there’s that second footswitch for jumping back to straight fuzz before people start running for the exits.